I talk. A lot. I can talk to a tree. But I do listen. That’s why I write. To prove that I do hear the other side of the pas de deux of conversation. It may seem that because my lips flap so much of the time that I don’t. That I’m too busy trying to come up with the next bon motte to hear your reaction to my last turn of phrase. Untrue. I listen. That’s why not all my material lands – sometimes I’m too invested in listening so forgo those precious moments in my head. “Well….” Ronald Reagan started many answers drawing out this word …. To buy him time. Just a second or two to compose his thoughts. Well, I write to compose my thoughts, to process my reality. To try to help others. I ghost write. I copyright. I need to find time to be an Amy-writer. I love words. Words I create, those of others that I edit. I write while I can. I write what I know – and in so doing try to lessen the blunt edge of panic for those just given a label for their twitch. I write to dream. 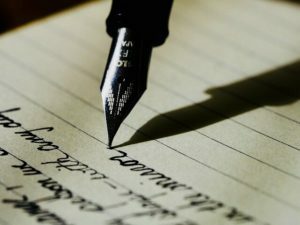 I write to share. To share what I know now with those who are still back in the ‘then’; I couldn’t know then what I know now – maybe you can? I write as a cover for online shopping – who can resist the siren’s song of a J. Crew sale? I write so that I can click ‘checkout’ at the aforementioned. I write because I’m not just a talker or a listener. 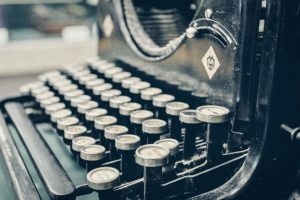 I write because I’m a writer. I am a writer.